The power of a Family Court Judge about: What is a Divorce? And… How do I obtain one? San Diego Divorce and Family Law Attorney, Paul Staley, released a new YouTube video to answer 2 common questions. 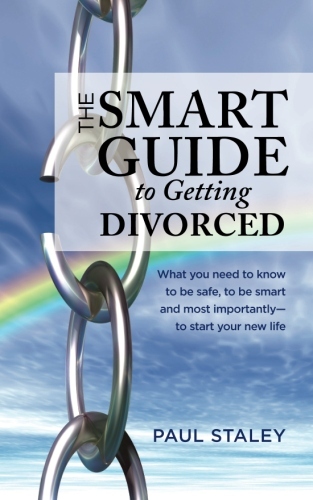 (ONE) What is a Divorce?, and (TWO) How do I obtain a Divorce? If you have been served papers for a divorce, you need to know what that means for you? Well, divorce is ending a legal relationship between husband and wife. And the steps involved and actually getting to where that relationship is legally ended can be complicated. In the state of California it starts with one spouse filing a petition for disillusion of marriage. Every other state calls it a divorce. California had to be different, we call it a dissolution. And typically, a petition for disillusion of marriage is going to be requested on grounds of irreconcilable differences since you don’t have to prove anything to get divorced on that ground. Now, not only does a divorce end the legal relationship of the husband and wife, ultimately resulting in them each being single again, but it also is going to encompass a whole lot of other details. And depending on how complicated this couple’s lives are, that’s going to determine how complicated the divorce is. If there are children involved – much more complicated. If there are a lot of property involved, of course, more complicated. If there’s lots of income involved, again, more complicated. So, those are the basic factors that kind of set the stage for what a divorce is and what are the steps that are going to be necessary to get to the end of the case. Previous post: Is Spousal Support taxable? Next post: What should I know before Family Mediation at court?